Cooking with Amy: A Food Blog: Cool Cooking Tools Reviews & Giveaway! Cool Cooking Tools Reviews & Giveaway! It’s always fun to try out new cooking tools. While I don’t have room for much in my apartment kitchen, I’ve put these small and affordable items to the test. First up, the Uten 2-3 cup mini chopper. 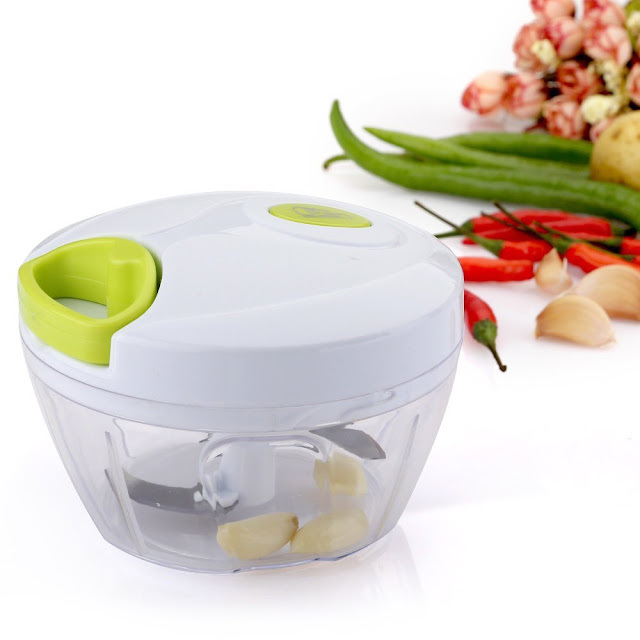 It has 3 blades and was terrific for a few cloves of garlic and fantastic for chopping olives and a handful of nuts, although I didn’t love it for chopping an onion, that's something I'd rather do by hand anyway. But the real reason I love this chopper? It’s fun to use! Instead of being plugged in or attaching to another kitchen appliance like a stick blender, it works with a pull string. You can pull the string as many or as few times as you like to get the result you want. If you have kids I bet they would love using it too. It's dishwasher safe and currently on sale for just $8.99. To learn more about Uten products, sales and more, visit and "like" their Facebook page. I use my toaster oven for most of my baking. 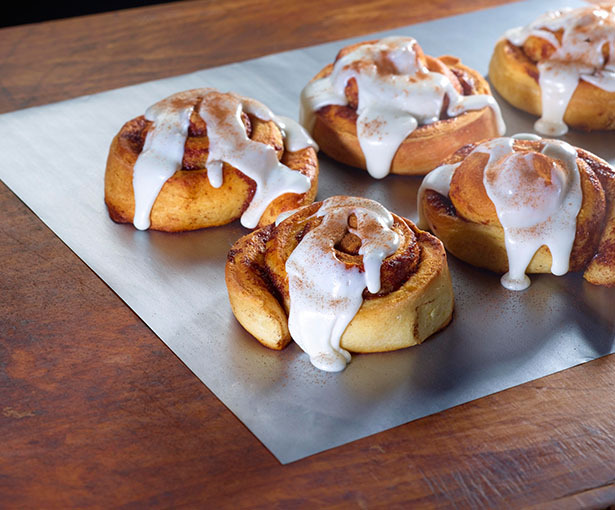 I always line my baking trays with parchment paper, foil or a silpat. But I recently discovered the Cookina parchminum sheet. Unlike parchment you can use it when broiling or baking up to 550 degrees. Unlike parchment, it won’t burn. Unlike foil, it’s easy to clean and reuse. Unlike a silpat, it won’t stain. One sheet is supposed to last as long as 25 sheets of parchment but I suspect it will last even longer. It’s amazingly durable. While you can serve off of it directly I haven’t really used it that way. I’ve used it to bake cookies, roast vegetables and cook fish. It's a less wasteful, more environmentally friendly solution, it rolls flat for storage, and is PFOA free. Suggested retail price is $9.99. I have plenty of knives, the last thing I need is another one. BUT I was really impressed with the Crisp paring knife because it has a cover that doubles as a sharpener. This is just so smart. Paring knives get used a lot but they don’t get sharpened as often as they should. This inexpensive knife which retails for $9.99 is perfect for camping or traveling. It’s a really smart innovation. The handle is comfortable and has a rubber inset where you grip the knife which makes it very ergonomic. It’s handy to have a couple knives with covers to use when you’re away from home. Crisp also offers a small serrated and bird’s beak paring knives. Uten is offering one mini chopper, Cookinga is offering one sheet and Crisp is offering one paring knife to a lucky reader. Leave a comment telling me which you’d prefer, the chopper, cooking sheet or the paring knife. Only one entry per person and you must have a US mailing address to be eligible to win. Contest ends on Friday May 6. 2016. Disclaimer: My thanks to the manufacturers and retailers offering these products I was not compensated monetarily for this or any other posts on Cooking with Amy.